On Saturday, 1 December, scientists attending the Gravitational Wave Physics and Astronomy Workshop in College Park, Maryland, presented new results from the National Science Foundation’s LIGO (Laser Interferometer Gravitational-Wave Observatory) and the European- based VIRGO gravitational-wave detector regarding their searches for coalescing cosmic objects, such as pairs of black holes and pairs of neutron stars. 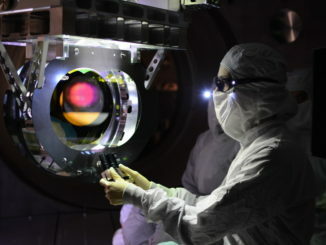 The LIGO and Virgo collaborations have now confidently detected gravitational waves from a total of 10 stellar-mass binary black hole mergers and one merger of neutron stars, which are the dense, spherical remains of stellar explosions. Six of the black hole merger events had been reported before, while four are newly announced. 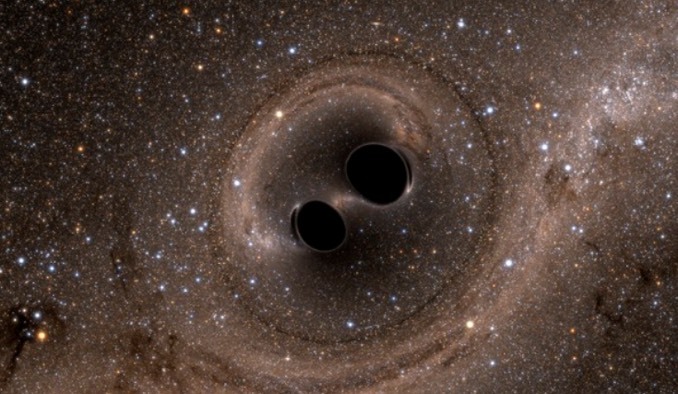 From 12 September 2015, to 19 January 2016, during the first LIGO observing run since undergoing upgrades in a program called Advanced LIGO, gravitational waves from three binary black hole mergers were detected. The second observing run, which lasted from 30 November 30 2016 to 25 August 2017, yielded one binary neutron star merger and seven additional binary black hole mergers, including the four new gravitational-wave events being reported now. The new events are known as GW170729, GW170809, GW170818, and GW170823, in reference to the dates they were detected. 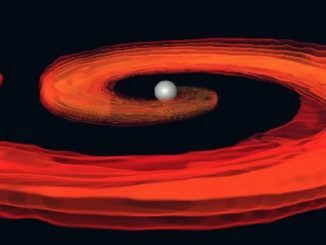 MIT researchers say gravitational waves from black hole-neutron star mergers may allow astronomers to more accurately measure how fast the Universe is expanding, resolving currently conflicting measurements of the Hubble constant. 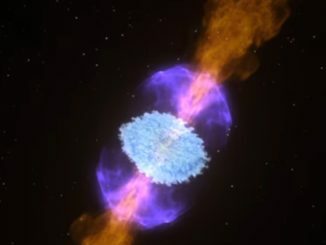 Detailed analysis of gravitational wave data collected last year indicating the merger of two neutron stars shows the result was a single massive neutron star, not a black hole. The LIGO Scientific Collaboration and the Virgo collaboration report the first joint detection of gravitational waves with both the LIGO and Virgo detectors. This is the fourth announced detection of a binary black hole system and the first significant gravitational-wave signal recorded by the Virgo detector, and highlights the scientific potential of a three-detector network of gravitational-wave detectors.